At the end of summer 2012 I saw some grown your own sunflower kits in Sainsbury's for 25p, the regular price was 99p as per the Suttons website, which I still thought was a good price. I bought a couple of kits because they didn't expire until June 2013, I gave one to my nephew who planted his last year and kept one for T. I totally underestimated what T would be interested in during those first months and at just under 18m this time last year, he really wasn't at all interested in gardening, so the sunflower pot sat in the cupboard beyond the use by date. 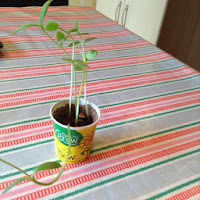 This year T is showing a keen interest in gardening and so I though I'd give the pot a go despite it being out of date. We had nothing to loose and as growing sunflowers is also an activity on our spring bucket list we set to work. 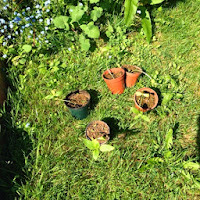 Within days we had seedlings, and 5 came through despite being nearly a year out of date. 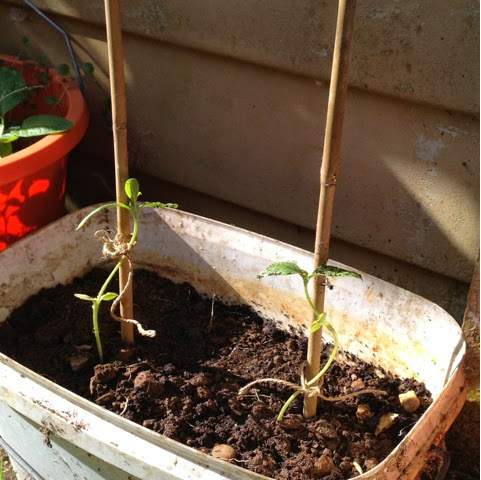 I'm afraid that I left them in the small pot a little too long so they did get a little leggy, but they were potted on and then a couple of weeks ago I planted them out. 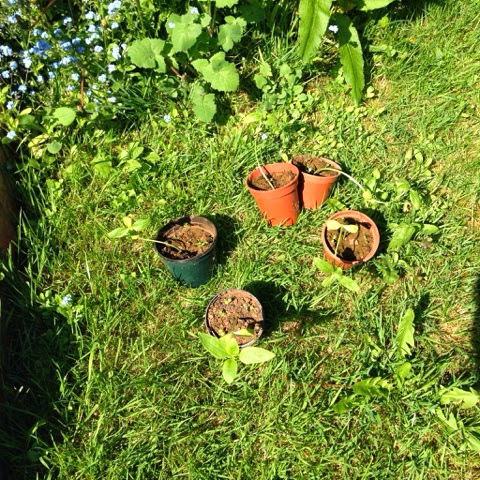 I've planted them in a bucket as we are working on moving a few things in the garden, this also means the I should be able to move them with the sun if necessary. I wanted to share my bargain pots with you, but also highly recommend as a product, they are great value even at full price and I hope to try some more of the kits in the future. 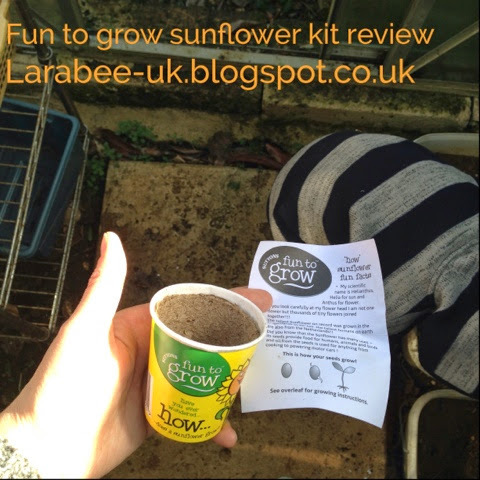 I should point out that I have received no financial or product reward for this review, all opinions are my own and I am in no way affiliated to Suttons seeds, I purchased the item myself and wanted to give an honest review. When I find a good product I like to share it.